Have you read the book Through the Valley of the Kwai? The book is about the life story of Scottish officer Ernest Gordon, a prisoner of war during World War II. During that time he suffered from malaria, diphtheria, typhoid, beriberi, dysentery, and jungle ulcers, and the hard labor and scarcity of food quickly plunged his weight to less than 100 pounds. Because of his helpless situation Ernest requested to be moved to a cleaner place—the morgue. Lying in the dirt of the death house, he waited to die. But there's a fellow prisoner named Dusty Miller who came to wash his wounds every day and to encourage him to eat part of his own rations. The quiet and unassuming man nursed Ernest back to health, he talked about his own strong faith in God and showed him that—even in the midst of suffering—there is hope. The hope we read about in Scripture show us that hope is a strong and confident expectation that what God has promised in His Word He will accomplish. 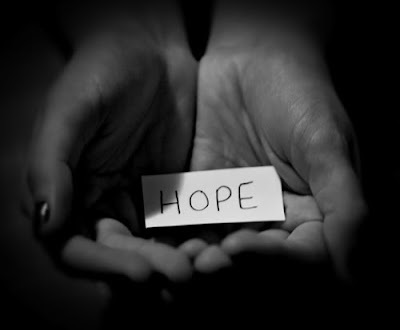 Tribulation is often the catalyst that produces perseverance, character, and finally, hope (Rom. 5:3-4). Seventy years ago, Ernest Gordon learned this truth himself and said, “Faith thrives when there is no hope but God” (Rom. 8:24-25).